When beginning a new project we often think about what inspires us, what elements to bring in and what mood we want to create. Travel, whether across the country or across the world, has always been vital for me and something that continues to influence my work. For this project on the beach in Los Angeles, our client was particularly drawn to the peaceful aesthetics of Asia. Of course, Japan and Zen came to mind, especially when seeing the tranquil ocean just steps away. Neutral colors, clean lines, elements of nature and a peaceful space are exactly what this home called for. Bringing the outdoors in, we used elements of stone, metal, wood, glass, fire, water and earth to create a perfect soothing sanctuary living room retreat. 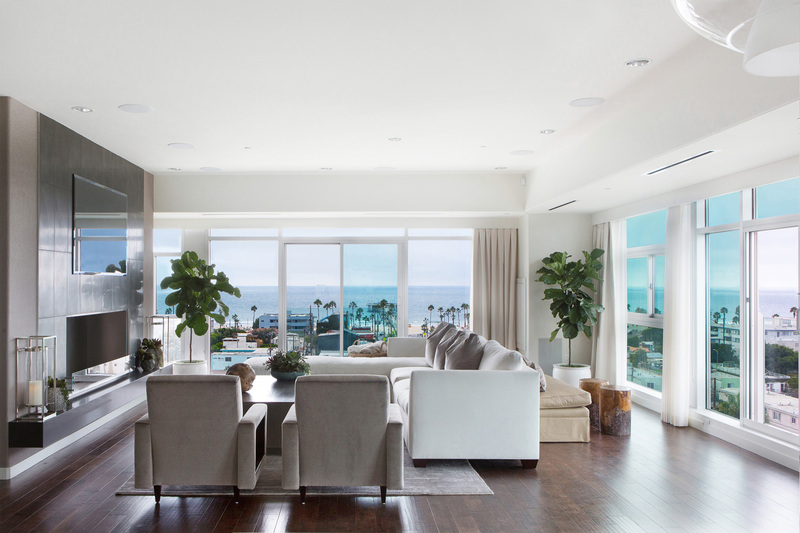 The expansive windows offer a clear view of every angle of the Pacific Ocean and bring in plenty of natural light. 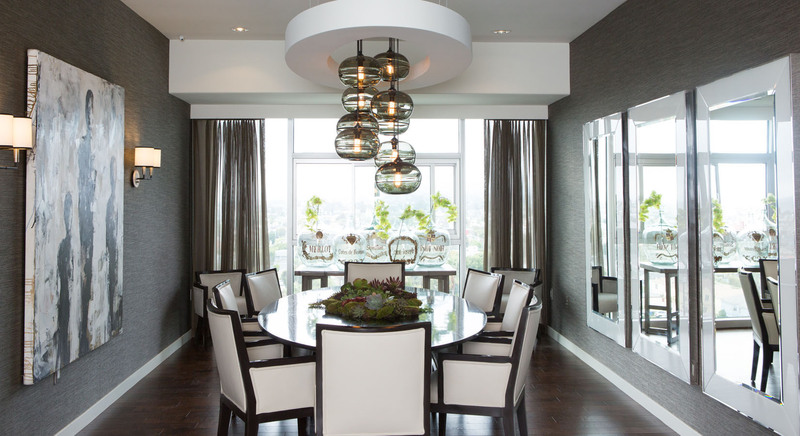 Grasscloth wallcovering adds a natural element to warm up this Dining Room, and a mirrored wall reflects not only sunlight but the ocean view. East meets West with the clean lines and minimalism of the low platform bed, floating night stands and cocktail tables, creating a relaxing and soothing Master Bedroom. Nothing feels more comfortable and inviting than a Spanish interior. With the freedom of bringing in elements from Spain, Morocco and Europe, we were able to be playful and creative with many of the rooms within this home. 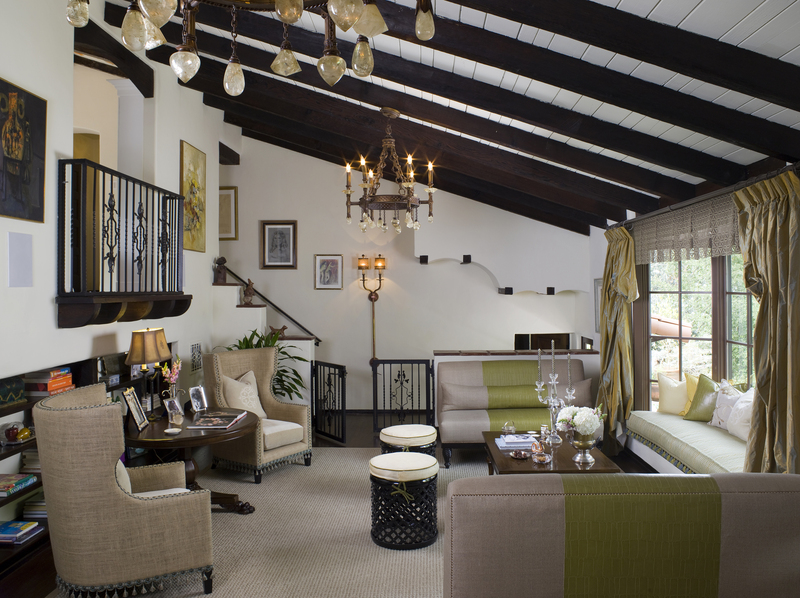 Incorporating dark rich wood, wrought iron, white plaster walls and exposed beams creates a warm setting. Details like tassel trim, cut crystal chandeliers and leather inlay settees are touches that really make this room feel special. 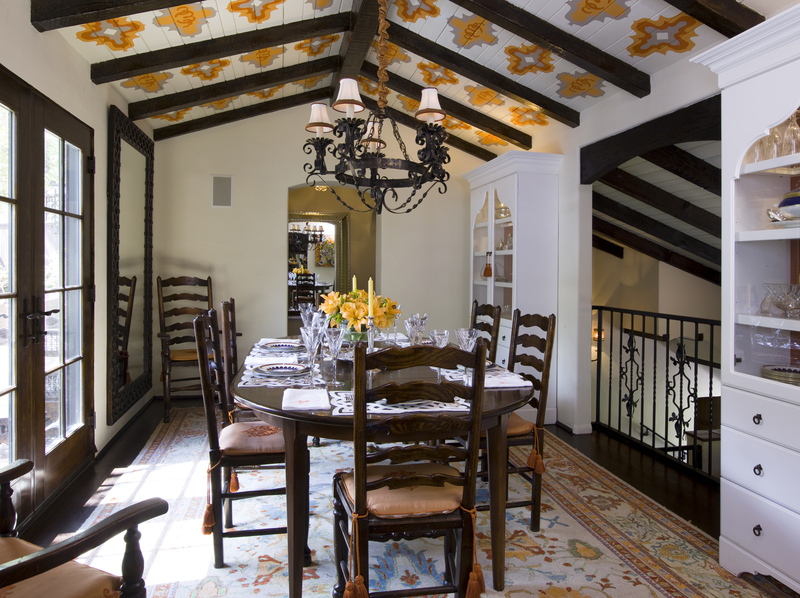 Inspired by Spanish tiles and the colors from the antique rug, hand painted murals and monograms were placed on the ceiling for balance and intrigue. If you’ve ever been to Barcelona, you’ll remember the wave-like path at Gaudi’s Park Guell. 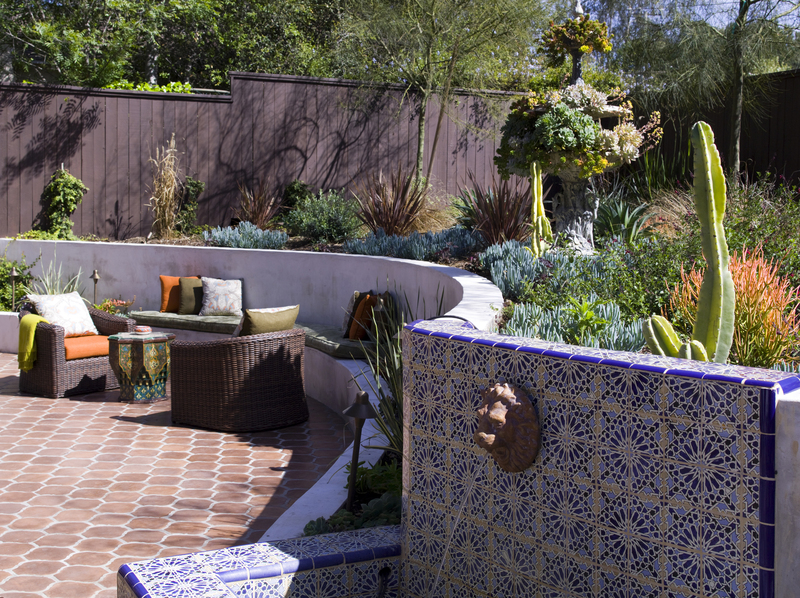 We wanted to create the same meandering feel and added Andalusian Tile on a soft water feature, terracotta floor tiles and natural landscaping to welcome guests into the home’s courtyard. Chinese interior design, especially from stylish Hong Kong, is rich, bold and at times dramatic. Cool and contemporary to China, I see Hong Kong as more modern, mysterious and exotic. 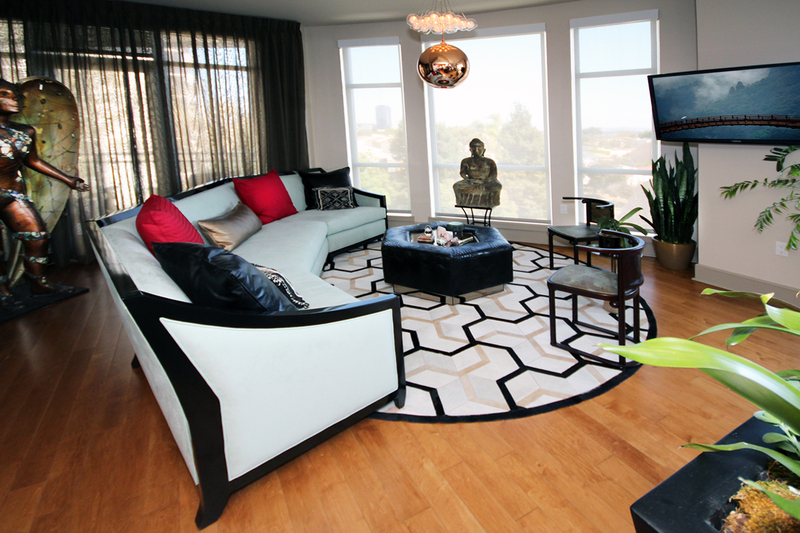 For this bachelor, we blended the classic Asian low seating of the curved sofa, leather upholstered ottoman and vintage Josef Hoffmann chairs with contemporary geometric shapes in the hair on hide rug and layered chandelier. Pops of red accents symbolize good luck. 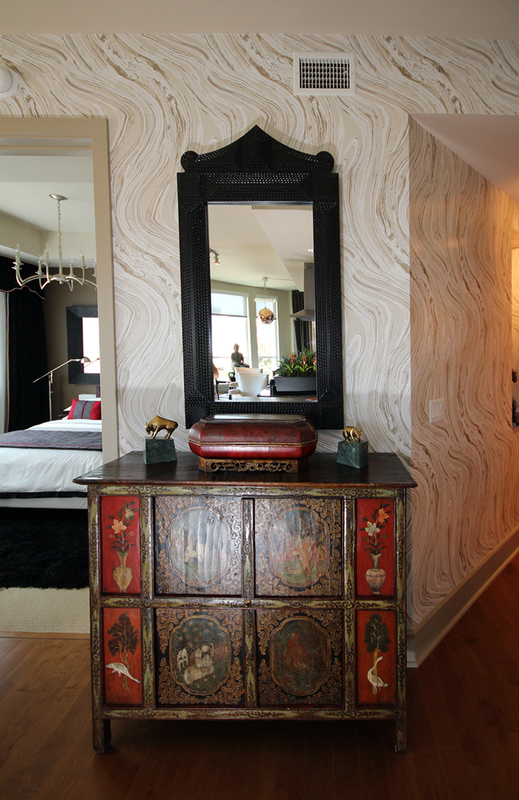 Here we mixed a traditional Chinese antique wood cabinet and decorative box with contemporary Ming mirror and marbleized wallcovering for a neutral backdrop. Classic to the Chinese color palette is high gloss black lacquer, with accents of red and gold. An added element was the dragon motif in the throw pillows, which symbolize compassion and wisdom. Unfinished and raw, cool and contemporary - these are the elements of life in New York City. 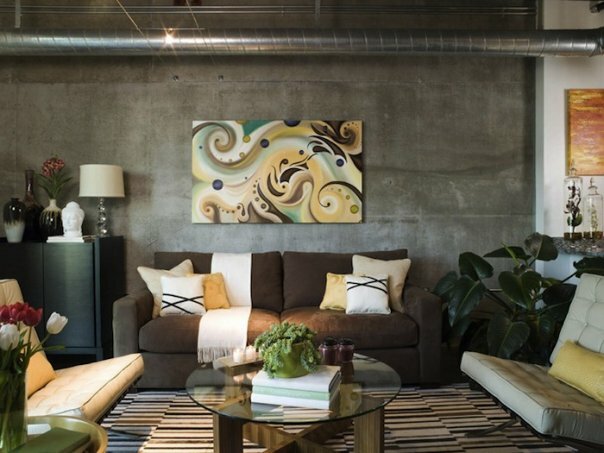 Warehouse and loft living spaces are still going strong because it’s edgy, authentic and never tries too hard. Here we juxtaposed a modern sofa, wood and glass table, and classic Barcelona Chairs with the exposed concrete walls, pipes and duct system. Of course, we always bring in plants and natural elements to balance and soften the space to make it feel warm and inviting. 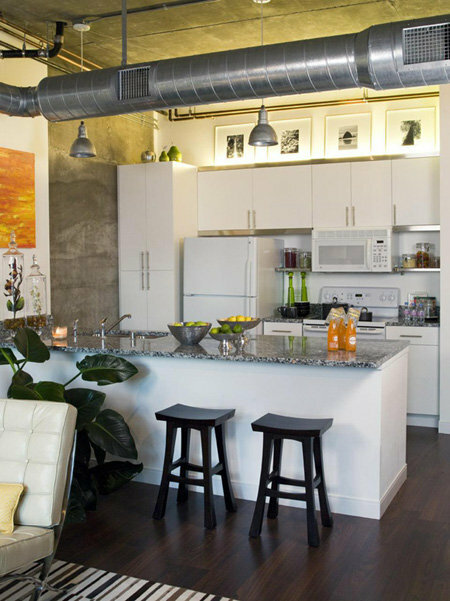 A clean and modern kitchen sits next to the raw building structure. 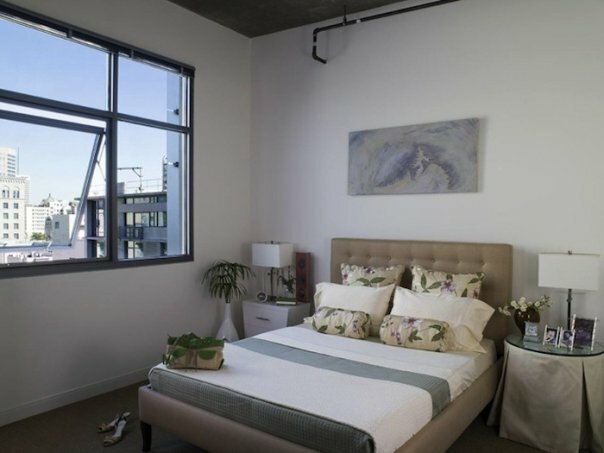 This soft and transitional bedroom has a view of the building just across the way. Again, it’s the balance of old and new, soft and hard that keeps this space interesting. The French countryside offers a natural elegance. There are moments of both sophistication and relaxation. Butter yellow, blues and soft green are a common color palette and are influenced by the surrounding landscape of southern France. 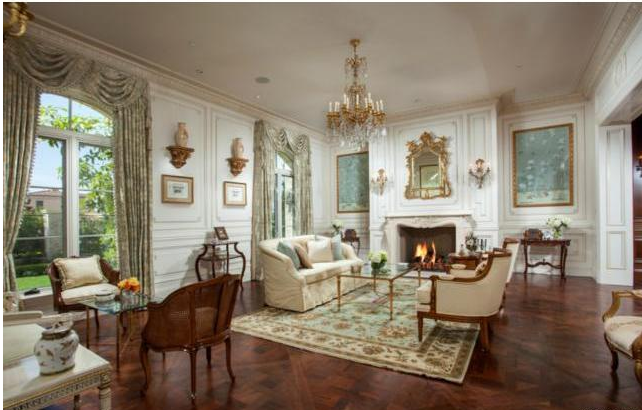 It’s all in the details: notice the wall moulding, drapery and trim, parquet floors, elaborate crystal chandelier and refined furniture. This morning room is bright, colorful and casual; A garden-like feel which effortlessly connects the indoors with the out. 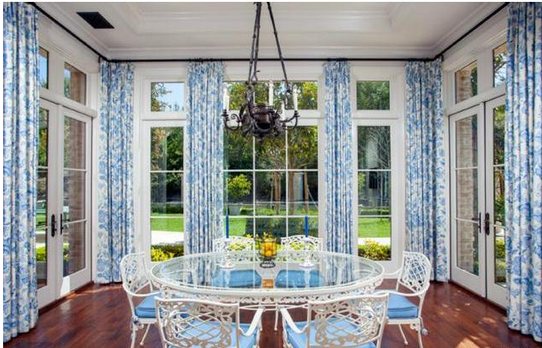 The floral drapes creates a gorgeous frame to view the outdoors just beyond the paned glass windows. This home is complete with a stone facade, blue shutters framing arch windows, worn brick and an open trellis. Perfect for relaxing next to a lap pool and exquisitely manicured landscape. I’d love to know…Where have you gone in search of inspiration? What feeds your creative soul?